Proper flu protection is essential for our aging parents. With the development of the H1N1 flu virus our concerns turn to making sure our parents are safe. The first task is to make sure that our parents are up to date on the ways to protect themselves from the swine flu or any other communicable diseases. 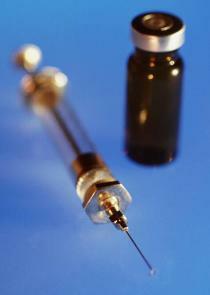 To start with, make sure that they check with their doctors about receiving an immunization prior to every flu season. These formulas are regularly updated to account for the most prominent flu that's projected for the next season. If they get the shot from someone other than their own doctor, say, at a clinic or a public health fair at a church, make sure they take a list of current allergies to the senior health administrator on site. Flu shots, for instance, should not be taken by people with allergies to latex or eggs. Sometimes, new viruses appear that are not covered by current Flu vaccines. H1N1 falls into that category. Proper flu protection starts with getting the facts straight. H1N1 was referred to as swine flu or Mexican flu. Both alternate names created misunderstandings in the general public. People wrongly assumed that pigs were dangerous or that you could catch this flu from eating pork products. There were numerous harassment incidents in schools and on campuses because some people scapegoated anyone from Mexico. The H1N1 virus can affect pigs and humans. But it is human to human contact that we need protection for, and all people of all races are susceptible. Especially children under age 2 and young adults. Elders are an important part of flu protection, however, because they can still spread the virus (to grandchildren, for instance) if they are not following proper precautions. The National Center for Disease Control (CDC) has issued guidelines for proper flu protection. Some of the techniques that they recommend have been revised from the days when our parents first learned them, or even what we were taught as children. We were all taught to cover our mouths when we cough or sneeze. The problem is that we used our hands to do so. The new standard for flu protection says that you should cough or sneeze into your elbow or shoulder. These viruses can be spread quickly through hand to hand contact such as shaking hands, or touching a door knob with the virus. Talk to your parents about this and even invite them to try it. It may be difficult because of stiffness or a limited range of motion. The other problem is a life-long habit of doing it the other way, so shifting what we do after a cough or sneeze will take conscious effort and practice at first. Our elders have often used and reused handkerchiefs that they carried with them. The new standard requires that disposable tissues be used AND THROWN AWAY. This will be a difficult transition for many elders that grew up in the depression era. They would consider it to be a waste of money. So to encourage the development of new habits, bring a supply of tissues in a variety of sizes -- boxes for each room, and some portable packs that they can carry with them. Frequent handwashing is one of the most effective methods of flu protection. After a sneeze or cough, after handling a tissue, WASH YOUR HANDS. For thorough sanitation, they recommend washing with soap and water for at least 20 seconds. How long is that? The length of time to sing "Happy Birthday" or "Twinkle, Twinkle, Little Star". You could update that for your parents sake by suggesting a verse of "When Irish Eyes are Smiling", or some other song from their era that they enjoy. Don't touch eyes, mouth or throat except with clean hands. Viruses of many sorts can gain access through mucous membranes. Even small cuts and scratches can provide entry-ways for a variety of bacteria and viruses. Make sure any break in the skin is kept clean and covered with a bandage. If your parents are ill, they should stay home. If you are ill, stay home and don't visit your parents. If a caregiver is ill they should stay home. Especially if a parent resides in a nursing home and you are sick, stay home so that you do not put many frail elderly people at risk. One danger of the flu is dehydration. Make sure they have ample supplies of liquids, fruit juices and favorite (non-alcoholic) drinks. Make sure they have soup or broth if they have no appetite. Have straws or paper cups on hand so that a clean surface can be used whenever they drink. Talk about the unique challenges of health care for seniors with your parents. The doctor visit with your aging parents will be much more effective if patients learn to Speak Up. Talk about elderly depression with your parents. Medical specialists could help enhance your senior parents quality of life, if you understand how the system works.